Account executive in ZIRAN, PR for Final Fantasy XIV. Editor, reporter and news anchor of video games and e-sports. She has studied many fields: analogue and digital photography, film and television direction, multimedia creation and web development and creation and management of micro-enterprises, among other things. And now she learns the Korean language. 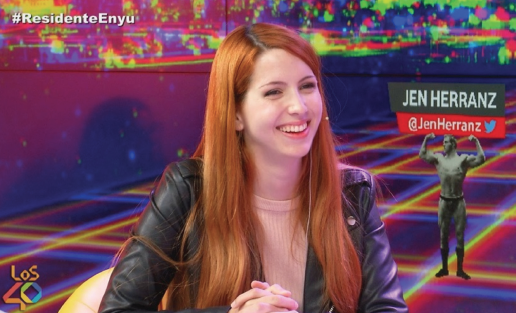 She has been camera and video editor, photographer, front-end web developer, community manager and presenter, editor and reporter in some of the most relevant videogame media such as MeriStation, with a weekly videogame magazine, and in the E-sports Vodafone project, with a daily information about e-sports. She has also collaborated in radio, in the program Yu, do not miss anything in Los 40 Principales. In addition, she is an ambassador for different brands, such as Samsung. She dedicates free time to videogames, series, film and photography. She also makes streams playing video games and writes on her blog about the topics she is passionate about. Guillermo García López (Madrid, 1985), is a director, writer, editor and producer. 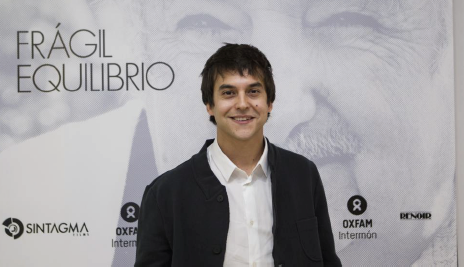 His first full-lenght film, “Frágil Equilibrio (Delicate Balance)”, won the Goya Academy Award to Best Documentary in 2017, was internationally premiered at IDFA and won the Doc España Award in its domestic premiere at Seminci Valladolid, as well as many other awards and official selections in film festivals. He is co-founder of Sintagma Films, a production company that develops cinema and advertising projects. One of them is “La Gran Desilusión”, directed by Pedro González Kühn, nominated to Best Documentary Short at Goya Awards 2014. Collaborates with the Architecture School of Madrid in projects that connect cinema and architecture. In this framework, in 2017 he directs the audiovisual installation “Daily Edits From The Border”. In 2002 I started in the world of administration and customer relationship. My experience in the sector, my dedication and good relationship with clients led me to progress in my different jobs. At the same time I dedicated myself to the world of entertainment, performing concerts in Spain and production work. Due to this, in 2010 I decided to study a Higher Level of AUDIOVISUAL PRODUCTION and SHOWS to expand my knowledge in this branch. To this day, I continue to work in the production of private shows throughout the Peninsula. Determined to create my own company, at the beginning of 2014, I started the CHINESPAIN project with my partners,a MARKETPLACE aimed at CHINESE TOURISTS visiting Spain and looking for a different EXPERIENCE to take back home. The implementation of this process, from scratch, has meant soaking in knowledge of MARKETING, SOCIAL NETWORKS, CREATION OF COMPANIES and CHINA CULTURE, among others. The project is launched and invoiced, proud to be #AcercandoCulturas, creating jobs and having achieved a perfect team. Currently my work in Chinespain is related to the development of the product and customer management (tourism partners and Chinese tourists), the search for new international destinations and the promotion of the startup in events. related to History. This, apart from dozens of courses in this regard, has given me knowledge of SEO, SEM, WEB, HTML and RRSS language.